Star Wars Celebration 2019 has officially wrapped up in Chicago, but it's never too early to start looking ahead, as it's been announced that the event will return next year. Additionally, it was revealed that the 2020 installment will be making its return to Anaheim, California. The news was revealed during the closing ceremonies at this year's event by host Warwick Davis. For now, there are few details to go on but fans won't have to wait a full two years for another weekend filled with Star Wars goodness. "Thank you to all the fans for making this year's Star Wars Celebration a most impressive event. 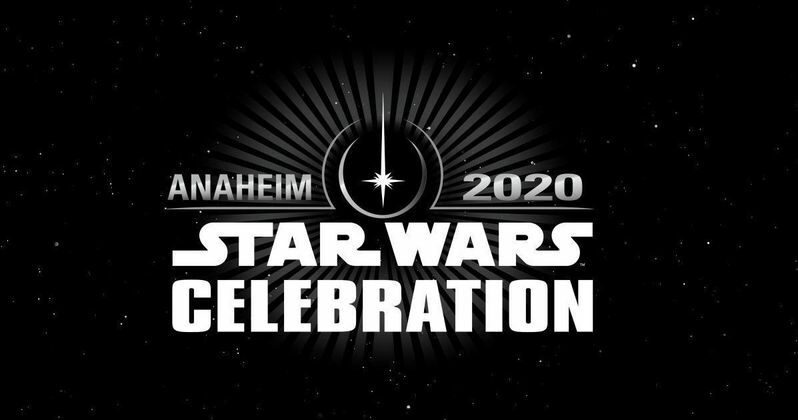 We'll see you next year in Anaheim for #StarWarsCelebration in 2020!" No specific dates were revealed at this time. The last time Star Wars Celebration was in Anaheim was in 2015 when Disney was hyping up the release of The Force Awakens, the first new movie under their regime after purchasing Lucasfilm from George Lucas in 2012. The location makes sense, given that the Galaxy's Edge expansion is opening at Disneyland next month. They can then possibly tie some things in with the new theme park. Since Star Wars Celebration isn't held annually, it wasn't totally clear if there was going to be an event next year. For example, Disney opted not to do it last year, since they didn't have all that much to promote. So that begs the question, what can we expect at the event next year? It's very early to start speculating, but we can be pretty sure it will have a lot to do with shows they will end up having in the works at Disney+, such as The Mandalorian, which debuts its first season later this year. Maybe we'll get an early look at season 2? They also have the Cassian Andor Rogue One prequel series in the works, so that's a pretty safe bet. But what about movies? It was recently said that the movies will go on hiatus following The Rise of Skywalker later this year. That doesn't mean they can't announce movies that will come at a later date. Maybe this is where we'll finally learn some details about the trilogy from Game of Thrones creators David Benioff and D.B. Weiss? Or maybe the Rian Johnson trilogy? There are lots of possibilities and we'll surely learn a lot more once the event gets closer. For now, be sure to check out the lot for Celebration 2020 from the Star Wars Twitter account below.